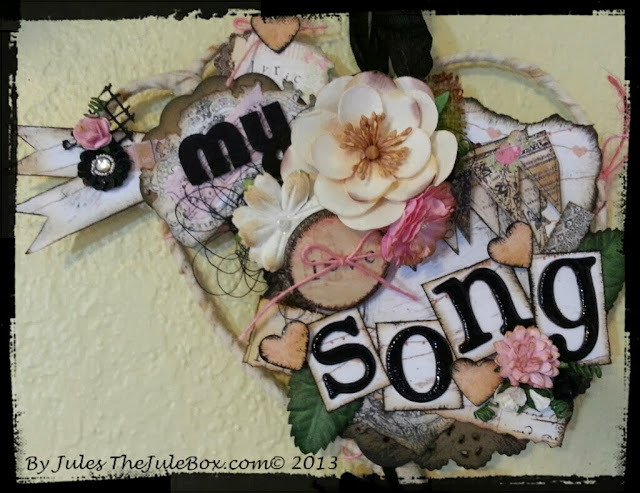 "The Jule Box Studios": Prima Shabby Wire Hearts wall hanging! 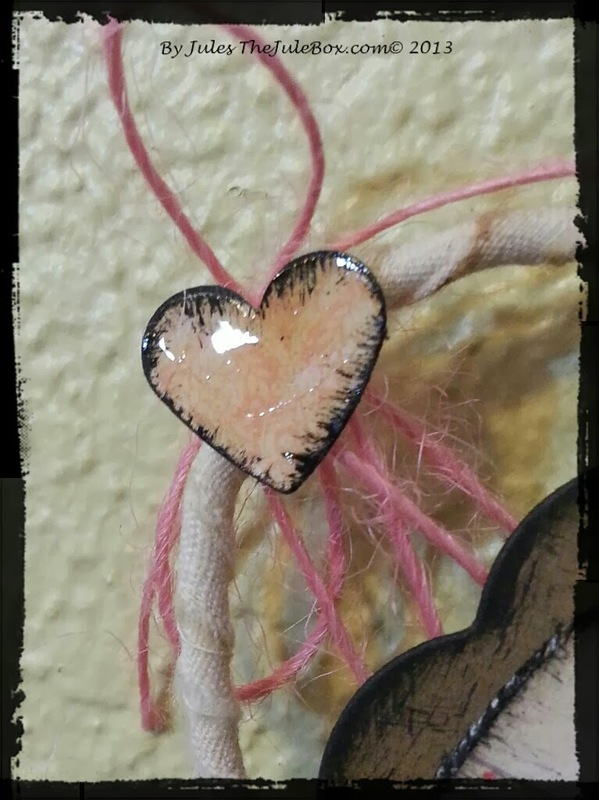 Prima Shabby Wire Hearts wall hanging! 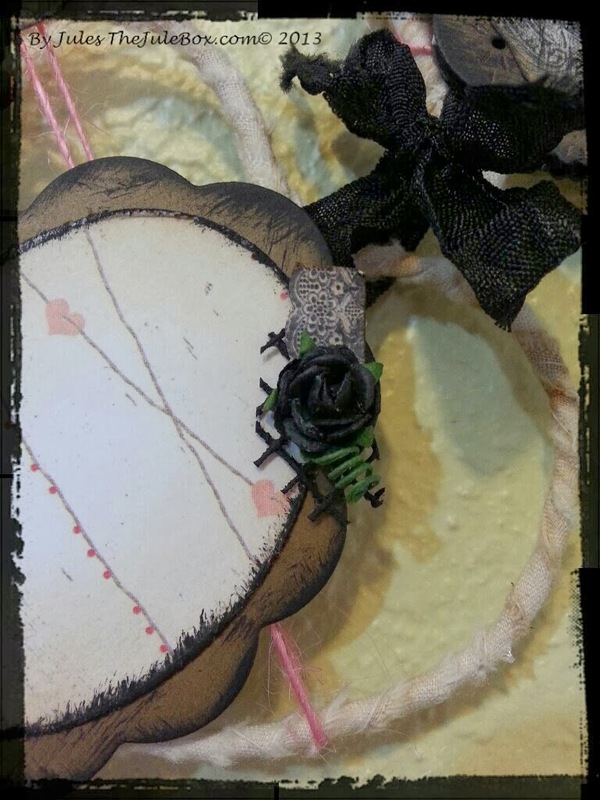 I have a grungy altered project to share today! I actually made this piece earlier this year and just had no time to post it! I recorded myself making it so I did my video as normal with the tutorial at the very end and will be posted on here for easier access for my blog friends! I hope it's something that will inspire you to create! I used Prima's "Lyric" paper collection which is such a cute line! I made some hearts with floral wire and linked them with some of Ms. Patsy's seam binding in black! I LOVE the look! Here are some pics of it and some up close ones too! Here is a list of what I used in this project! 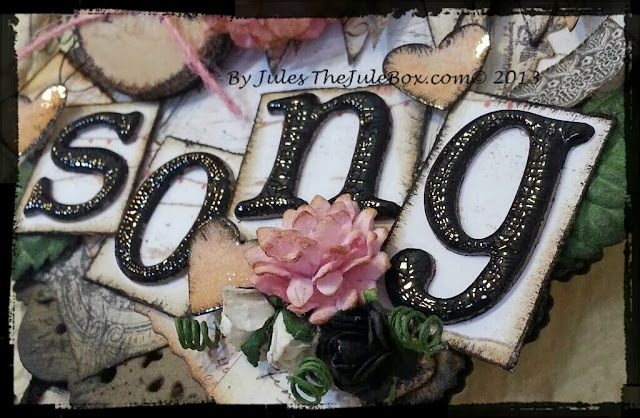 You can find some of the mediums like the paints, mediums and tools in my shop, "TheJuleBoxShop.com"! ~Black wrinkled seam binding from "Prairie Bird Boutique"
Thanks for stopping in, have a great day everyone! Please let me know if you have any questions! WAUW Jules this is absolutely gorgeous. 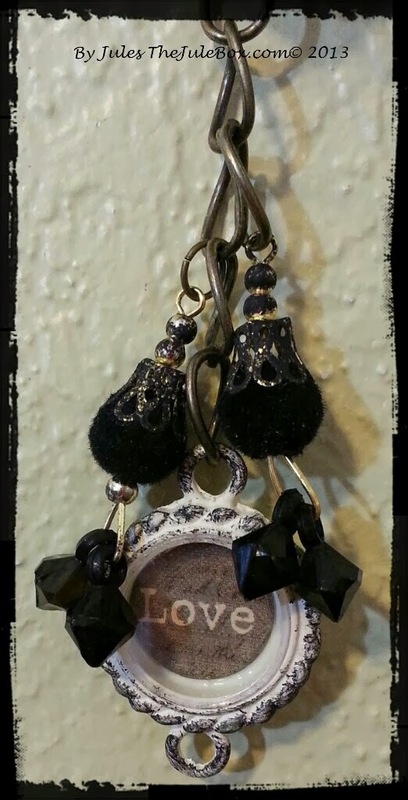 I really love this wallhanging here, soooooo beautiful creation. Jules, I love your gorgeous shabby wire hearts wall hanging so much. It's a fantastic idea. Your make is wonderful and I am going to keep your video - great inspiration too! That is absolutely gorgeous Jules...it speaks LOVE with every thoughtful piece you placed on it!...Your friend will be delighted...You amaze me with your talent....soooo, inspiring...take care my friend! 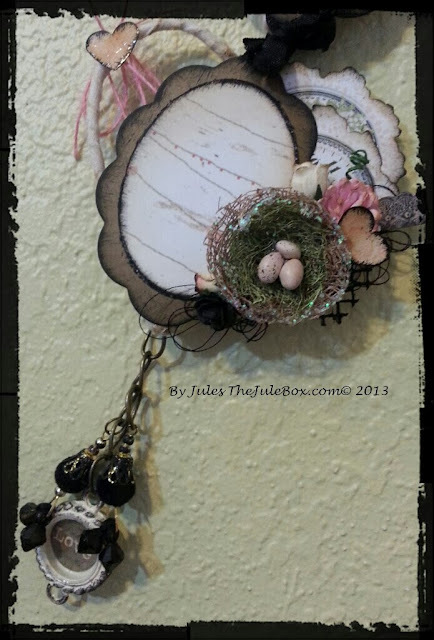 Graphic 45 "Miniature Fairyland" Scene!